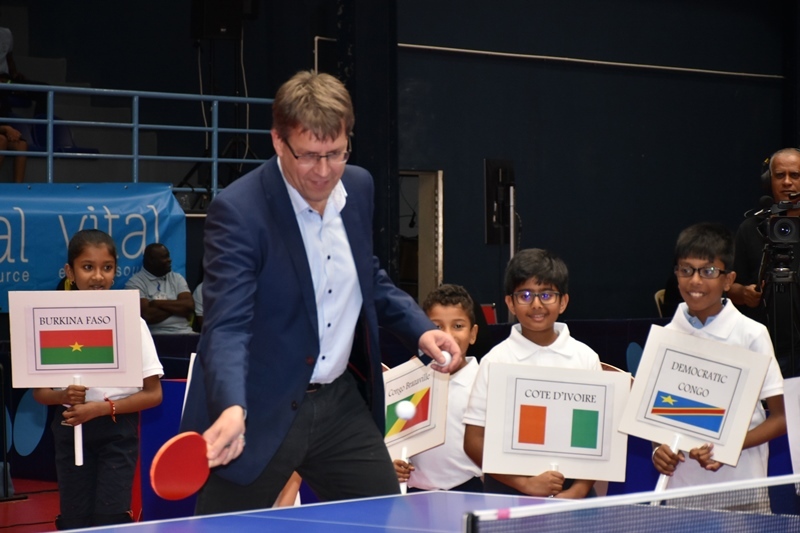 Pride and places in the 2019 ITTF World Team Cup in Tokyo will be at stake when Africa’s powerhouses in table tennis – Nigeria and Egypt clash today in the finals of men and women team events of the 2018 ITTF African Championships holding in Mauritius. As it was in the last five years, so it is in Mauritius as the continent’s best table tennis playing nations battle for top spot with both sides aiming to represent Africa at the Tokyo show come November 2019. Both teams lived up to their rating as the top seeds in the men and women events and they have maintained 100 percent in all their matches on their way to the final. But today at the Beau Bassin Sports Complex in Mauritius, they will go up against each other in the men and women events finals. Listed as the number one in the men’s event, Nigeria had a smooth sail to the final with wins over Congo DRC and host – Mauritius in the group and got a bye to the last four to set a semifinal clash against Algeria. Unlike Nigeria which played two matches to berth in the last four, Egypt as the second seeded team defeated Seychelles, South Africa and Madagascar to get a bye to the semifinal where they met Togo. Nigeria made nonsense of Algeria in the semifinal with 3-0 win while Egypt recorded same result against resurgence Togolese team. Just like in the men’s final, the women’s final will be between Nigeria and Egypt after both sides ended the dream of South Africa and Algeria in the semifinal. A confident Mohammed El-Beiali believes Egypt has the chance to retain the title in Mauritius despite the absence of their talisman, Omar Assar. “We are surely ready for Nigeria and we can surprise them in the match. But we will not underestimate the quality of Nigeria,” the 2018 Arab Cup champion said.